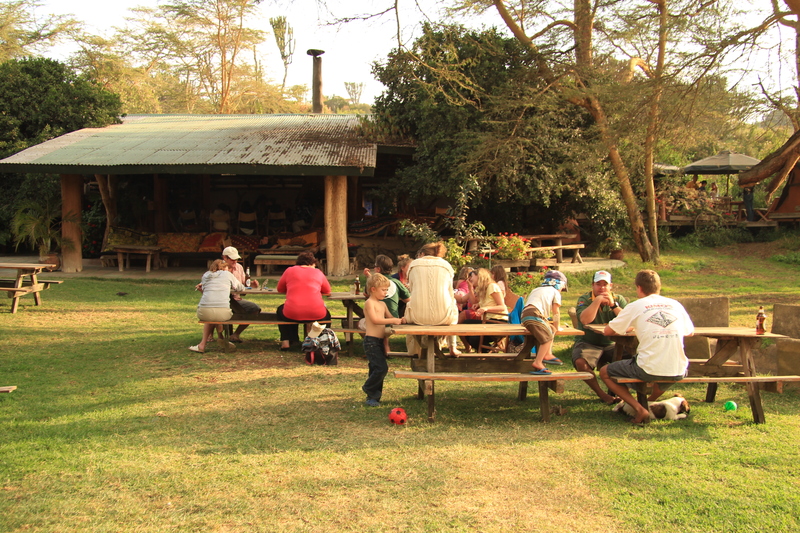 I spent most evenings with the Naivasha crowd, hanging out at the Carnelley’s restaurant, which was the start of a downward spiral weight wise! Chrissy has that kitchen churning out the most amazing culinary delights, there is no point trying to resist… “Small Lake” soon became a favourite spot for watching flamingos whilst sipping on gin, watching the sun go down followed by gatherings round bonfires, talking late into the night and fending off territorial hippos. 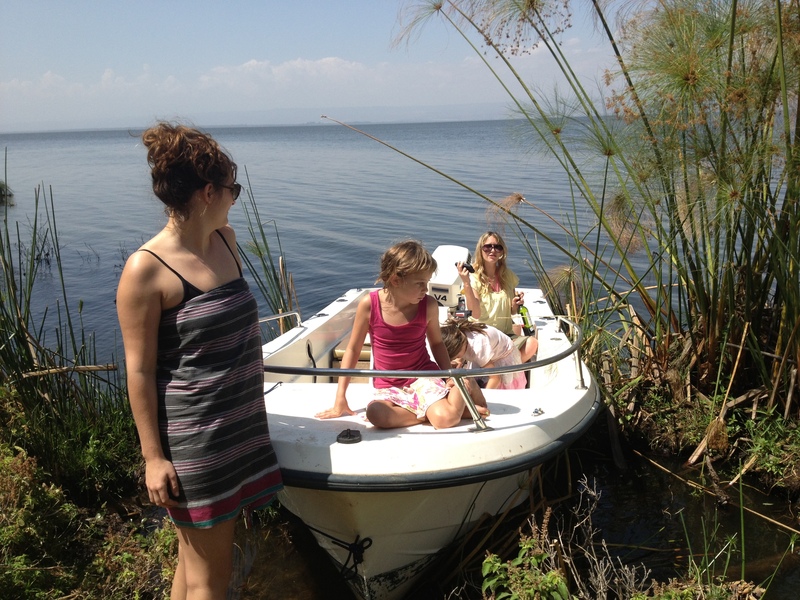 I got to spend a bit more time with the hilarious and fun-filled Andy and Fleur, taking boats onto the water for day trips out to remote spots along the lake. Breaking down with Mikey at the helm only added to the adventure. 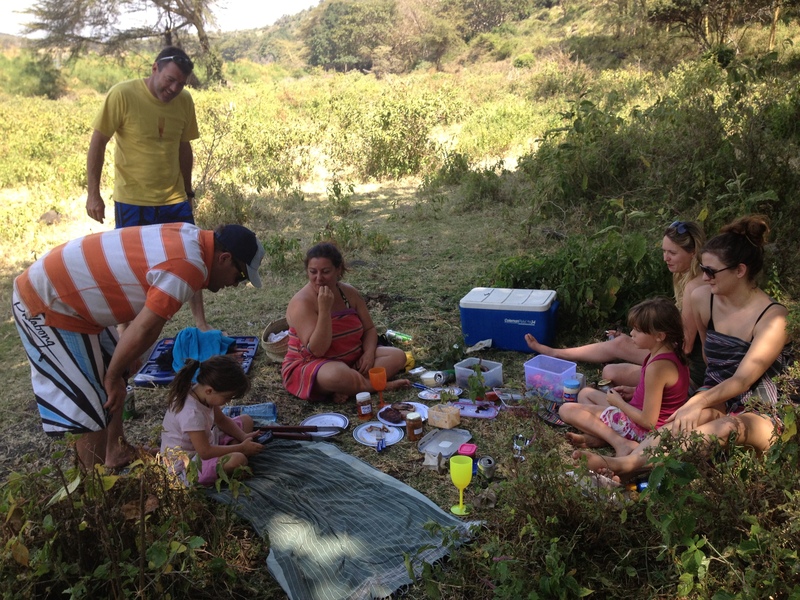 Everyone was so welcoming, and I got to know the entire Carnelley clan – Tommy, Annie (Lovat’s parents) who own and live at Camp Carnelley’s, Mwezi (Lovat’s sister), a beautiful bohemian nymph who’s recently left a life in Zanzibar to live back in Naivasha, and her boys Tristan and Arlo who are rough and tough little blonde headed boys. Mike and Lovat recovered the Beast from the flower farm to Mike’s yard. Knowing the steering arm was broken, Mikey and I set off with a towing “A bar” (these boys know their thing so I just nod and go with the flow). We wired the A bar to the front of the Beast before Lovat arrived with his Land Cruiser. It took us the better part of an hour to turn the Beast around in such a small space – it’s heavy and the wheels kept turning the wrong way when Lovat was pushing it out in reverse. With brute force, tons of revving, wheel spinning and smoke, we finally got it rolling behind Lovat’s cruiser. Unfortunately, with all the strain on the A bar, secured only with a bit of wire, it eventually yanked my bull bar right off near Mike’s gate and the Beast rolled into a shallow ditch… We reversed the Beast out and Mikey brought two metal bars to turn the wheels manually. The last 300m of windy driveway I inched slowly forward, with Mikey and Lovat on each front wheel levering the tyres right and left. Just as we came through the gate Mike misplaced his bar, it slipped out, he flew backwards and put his back out… The very next pull, Lovat’s pipe slipped and cut a slice into his stomach. Moving the Beast from less than half a kilometer down the road has taken two hours! Beware of helping me out folks. Karma’s not playing nice and chances are, you’ll get a nice slap in the chops for your trouble… Luke’s Probox had a small run in with a matatu the day after he rescued me from the accident scene, Mikey was rendered immobile and Lovat sliced himself open whilst moving the Beast. Sorry boys!! 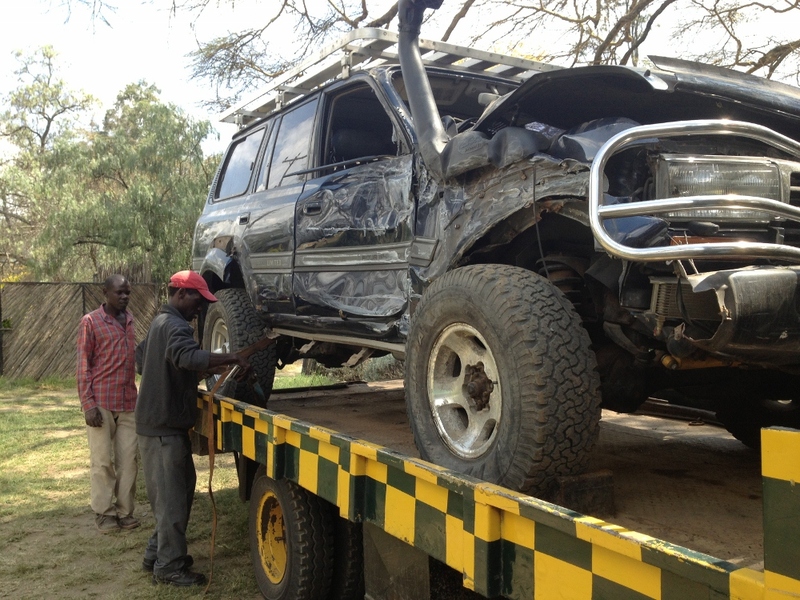 I managed to get most of the insurance process started and the recovery of the Beast back to Nairobi was arranged within the first 5 days. It took almost a full day to unload the Beast of all it’s boxes, unbolt the roof top tent, unscrew the awning and just about gut the entire thing in preparation for it’s trip to Nairobi. All safely stored in Mikey’s store room, I knew it would be a lot safer there than in a panel beater’s yard! I wasn’t feeling great and decided that it might be a good idea to follow the Beast to Nairobi and get checked over at a hospital in Karen. Luke was around as he was working with horses in the area, and was leaving for Nairobi the afternoon the Beast was collected, so I got a lift back with him. 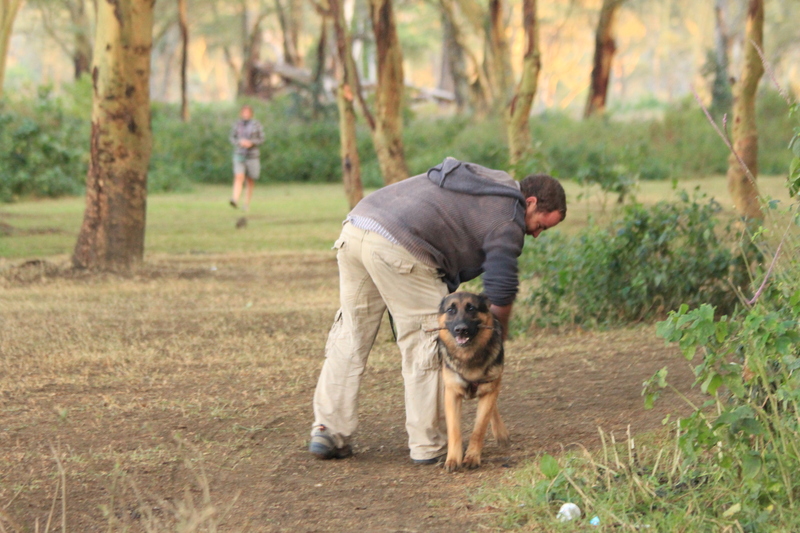 He was heading up to Meru that evening and so kindly offered his place to me for the following two days. 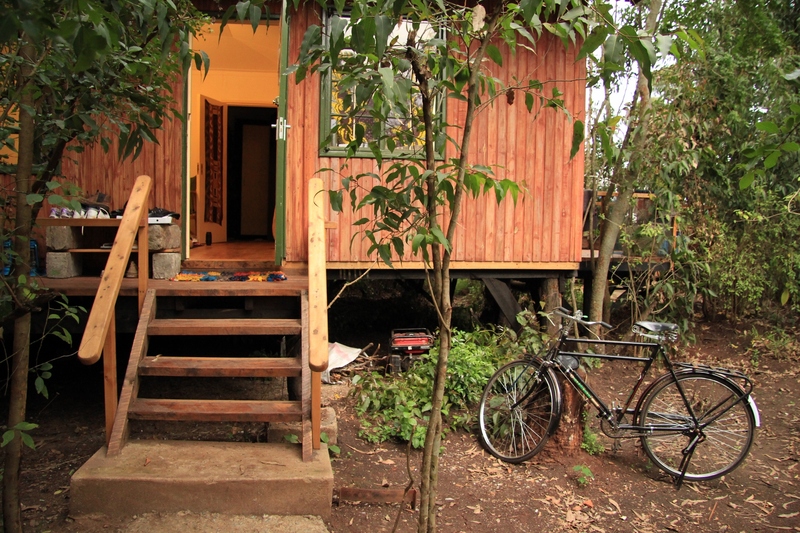 He lives in a stunning little wooden hut in a small compound surrounded by trees and horse paddocks. Two days later, Luke and Chloe were back at home and so I moved to Karen Camp down the road where I spent a miserable week dealing with insurance issues. The Beast had been taken to Toyota Nairobi who quoted me over 2.2 million KES (around £16,000 for repairs) which was completely ridiculous. Before yanking the Beast out of their clutches, I got their assessment and was pleased to hear that the axle and chassis were all good, which meant that the Beast could be repaired! I found another local garage in Karen used by many of the expats and got the Beast moved there instead, not before realising that it had been drained of almost 80 litres of fuel whilst sitting in their compound. 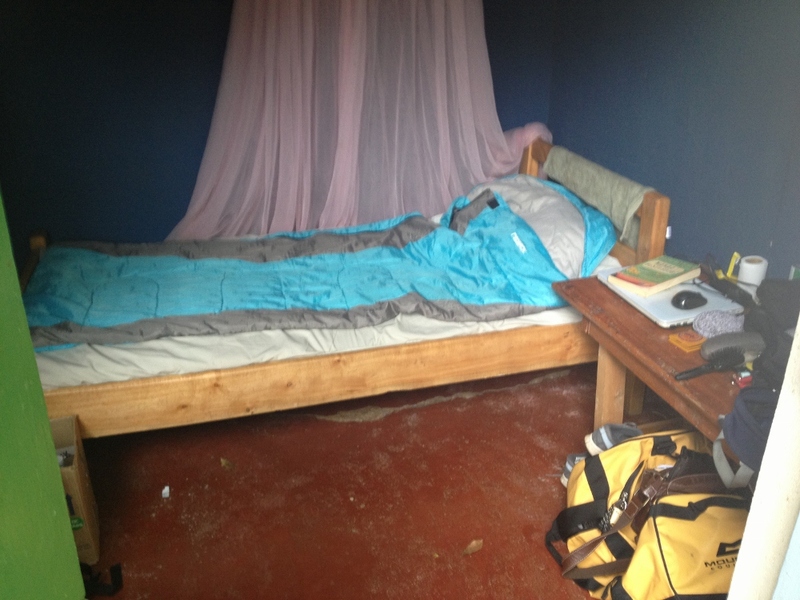 Karen Camp is a dump – do NOT bother going there, I was paying $10/day for the smallest, darkest room with no bedding (all my sleeping stuff was folded up in the roof top tent). For 3 days I was the only guest at the camp, and with not much to do in Nairobi, this was not the best part of my trip. 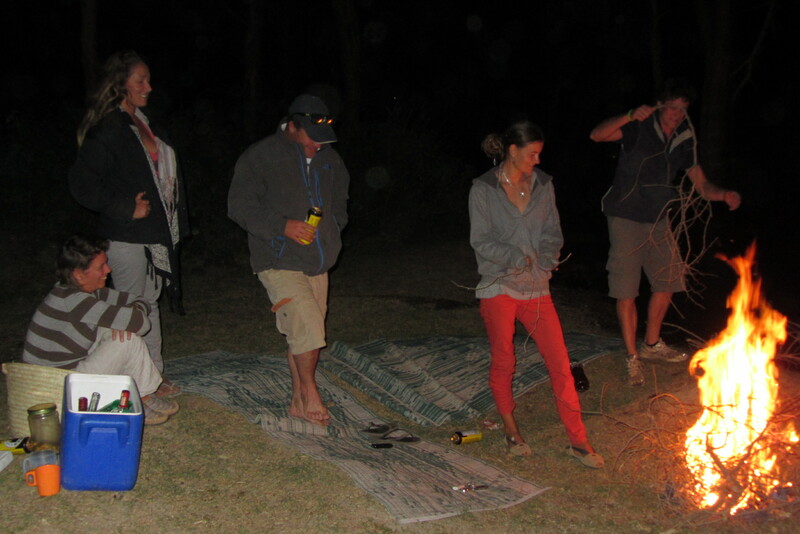 Was super chuffed when Luke and Chloe got back from their trip up north and spent a great couple of nights with them, Chloe’s cousins Sean and Tanith, and their friend Haz – the red wine flowed and Que Pesa didn’t know what had hit it by the end of the night! Hey, that was some shocker of an adventure. But in the long run it would all add up to lessons learnt and that everything is not in our control. Did you manage to get something back from the insurance company? I mean £16000 is a huge amount. How much did the beast cost you in UK? All said it turned out to be a very reliable partner for your adventure. I have seen but not read yet, two of your blog’s regarding places to stay in and dine. Have you written a piece on how much it cost you for the entire adventure during different legs. That would be very informative. The next issue you could dwell upon is as to how one could plan on advance bookings of places to stay and issues regarding visa permits for entering various countries. I know it’s asking for too much. Write only if you feel like doing so.